Before the lovely summer clothes season begins I just want to sneak in a winter make. I joined the rest of the world when Tilly’s Coco pattern came out and quickly purchased it. How long ago was that now?? This is my first one! Unbelievable when I’ve seen and loved so many since its release, not really sure what took me so long but better late than never! 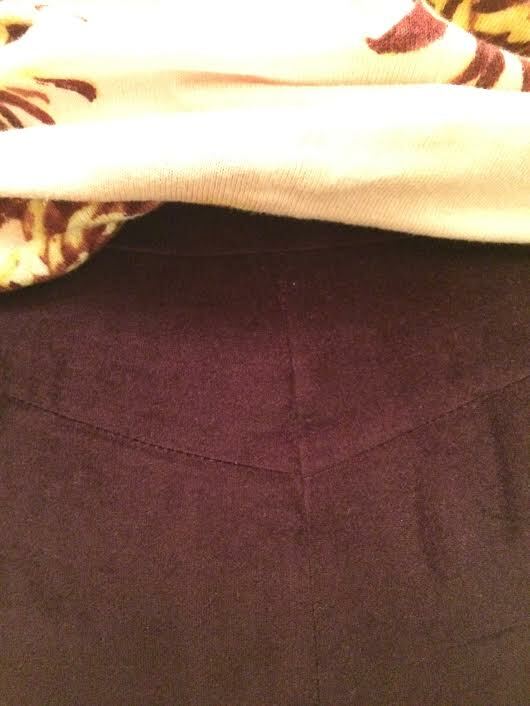 I chose this vibrant purple stretch fabric on a visit to Guthrie and Ghani a while back and it’s been lazing around in my stash ever since. 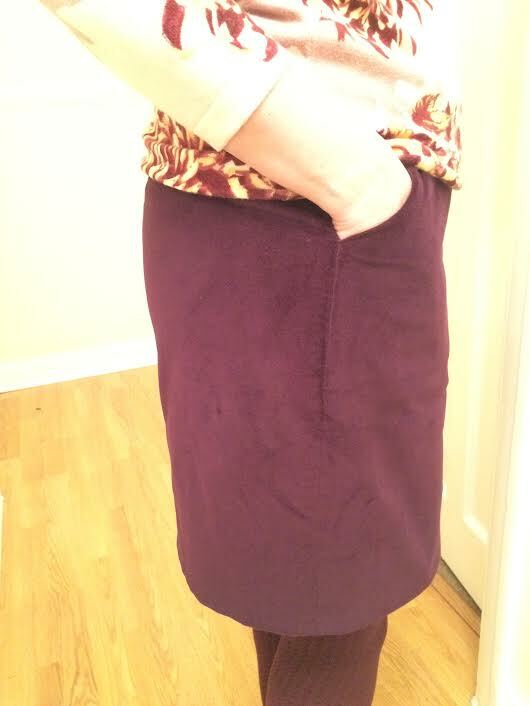 I enjoyed working with this fabric and it was a very quick make. I chose the funnel neck and the long sleeves to keep me cosy during the winter and it hasn’t let me down. 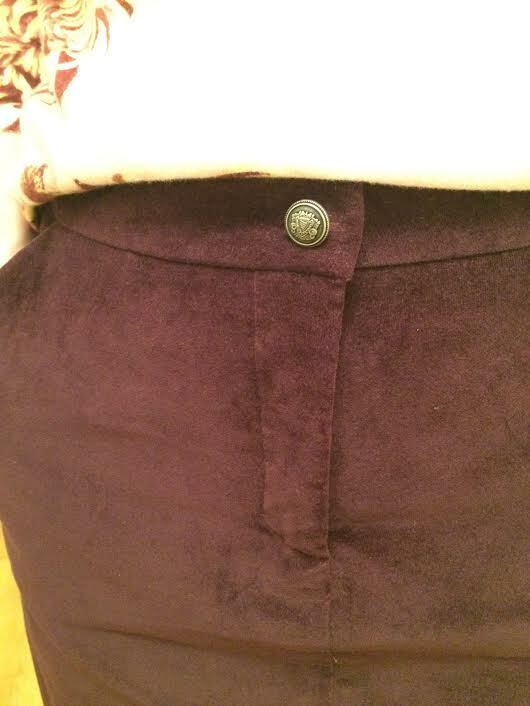 I also went the whole hog and added pockets which i decided to decorate with matching covered buttons. I love this dress – however – by next winter there’s a good chance it will have been shortened into a Coco top. this is because of the gorgeous purple colour. I love purple and really love this shade but I’m not sure if its a bit ‘flashy’ for me in a dress. I think I may feel more comfortable with the top version….who knows – I’ve got all spring, summer and autumn to decide so watch this space! Many, many moons ago I worked for Wooltons in Birmingham city centre. Although long gone now they used to sell curtains and I worked in the factory sewing them. Over the years I’ve made so many curtains for me, my family and friends. I do enjoy it but it’s a full workout – lifting and manoeuvring metres and metres of heavy fabric and lining is tough!! The fabric was from The Rag market in Birmingham and was a bargain at £5 a metre. 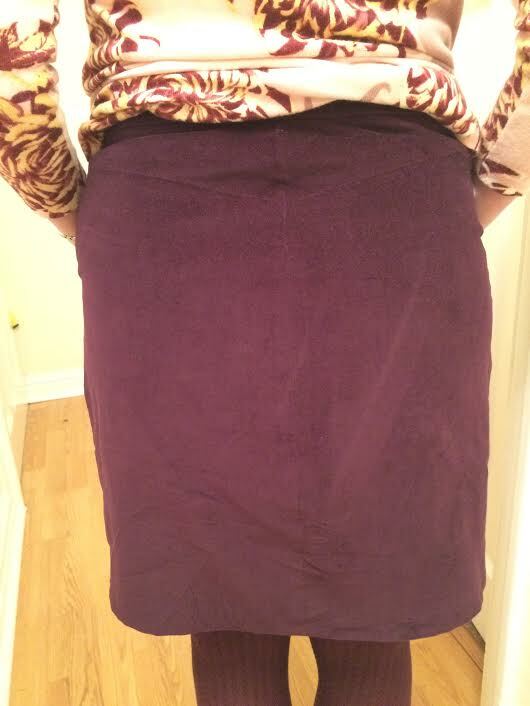 Also, the fabric is reversible – bonus! For these curtains I needed to do eyelet tops. I was scared! My fabric wasn’t £5 from The Rag market it was way more from a little independent soft furnishing shop in Paignton. (£30 a metre – it’s ok my husband knows!) It was the only fabric I saw that I really liked for the room. I’ve used eyelet tape before on curtains. It’s not difficult but if you make a mistake you’ve cut holes into the curtains you’ve worked hard to make – yikes!! A bit of an Easter change, me and Tracy made bunnies! We saw the pattern in one of the magazines (can’t remember which) from last year. I had the fabric left over from a quilt I’ve been making – a work in progress for a while now but will be blogged about quite soon – I hope!! Just for the record, they were so fiddly we will NEVER be making them again! Despite that, they turned out really well and we love them! Tracy’s spent Easter on her desk at work and is now in her bedroom and mine is living at the seaside with me! My friend’s little boy has been doing a topic on David Bowie this term at school. For the finale they are dressing up and putting on a show for family members to come along to watch. I asked her for an old pair of jeans and an old t-shirt. I’ve never been a Bowie fan at all and was unsure what to do at this point but at least I knew that they would fit him, whatever I did! I opened up the side seam and pleated a piece of tartan fabric from my stash which I then inserted…. Quick and simple – hope he likes them! I spotted a jumper when ‘surfing the web’ a while back. A bit more ‘surfing’ and I found it. A lovely knitting pattern by Ravel to purchase and download. Tash fancied a grey one so we bought the wool from our local market stall and within a few days it was finished. I’ve knitted many jumpers over the years and this was the first one that incorporated a couple of long darts in the middle of the back. Strange, but I followed the pattern. I loved knitting this as it was done on circular needles. You knit round in a circle from the bottom ribbing to the armholes and then the cuffs to the armholes, which is where all the pieces join up and you can then begin the owls. The owls are made by a simple cable stitch and are so cute!! Finally a tiny bit of sewing up under the armholes and 34 buttons to sew on. Although Tash liked her finished owl jumper we both decided we didn’t like the way the back darts brought it in a bit, it was unnecessary on a jumper. When Tash’s wonderful, lovely, sweet friend Radikha saw it and liked it, I offered to make her one too. Her choice of colour was…..
A friend of a friend of a friend etc… wanted a giant squid for his sea life loving daughter’s birthday. The task came to my door and as I love to make things I’ve never done before I said yes! I found a free online pattern to make an 8 foot squid which I downloaded and then bought all the materials needed from Dunelm. Although I did enjoy making it, it was hard to do – not the cutting out and sewing which was quite straightforward but by the time I began stuffing it, it quickly became very heavy to manoeuvre and was like having a thick duvet wrapped around me. I was boiling!! “Squiddy” came to life a couple of weeks later and here is my son, Mitchell modelling him…. The fabric is from our favourite haberdashery – Guthrie & Ghani. 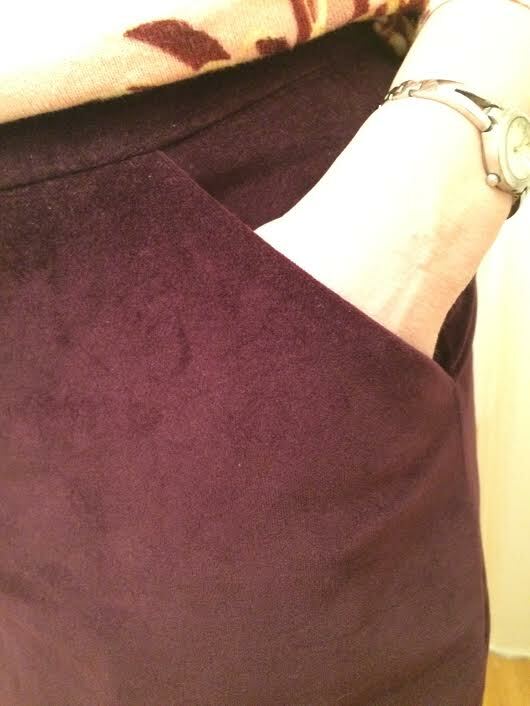 Spandex velveteen isn’t the easiest of fabrics to sew with. 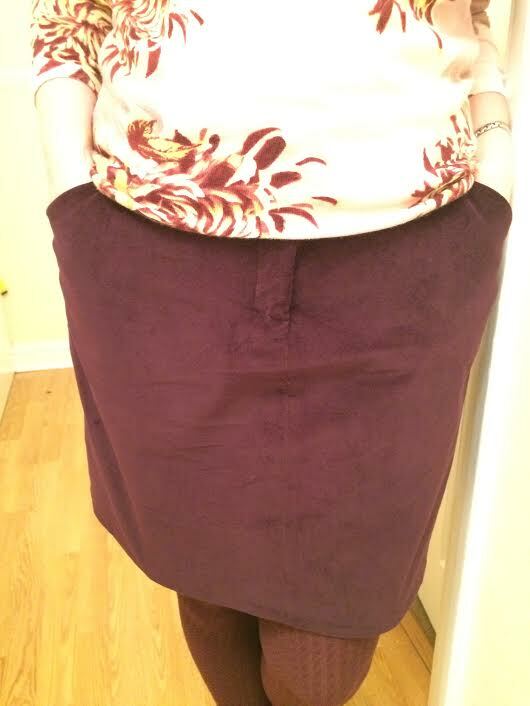 Unfortunately, these photos don’t do the skirt justice (can’t wait to get outside). 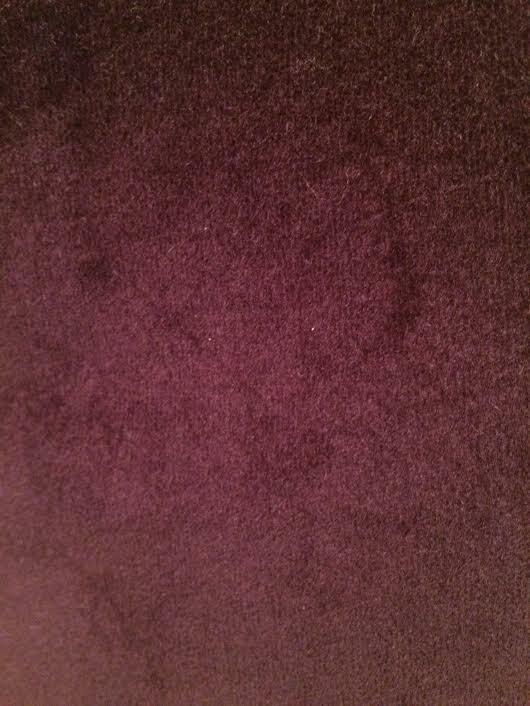 The fabric is a gorgeous deep colour and a beautiful soft velveteen. A lovely addition to Tracy’s wardrobe! Geek shirts! | Sews… on God of the nerds!